Well, I’m sure you guessed that some pieces of Exodia would make the list. 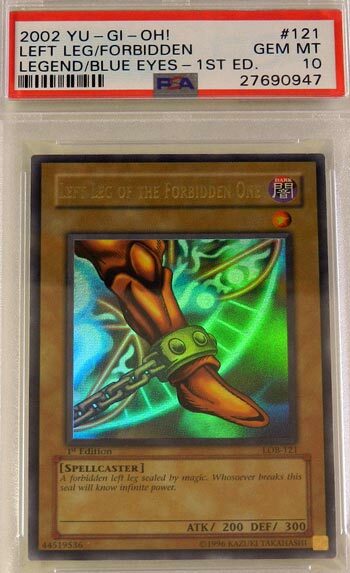 This “Left Leg of the Forbidden One” from Legend of Blue Eyes White Dragon sold for $449 on eBay in October 2017. Are there more pieces of Exodia to come in the Top 25? Stay tuned! Next articleVery Cryptic Command – MTG COTD – All 6 versions!